The Diploma Programme is a two-year, full-time programme. Students must choose one subject from each of groups 1 to 5, thus ensuring breadth of experience in languages, social studies, the experimental sciences and mathematics. As the sixth subject the student chooses another subject from groups 2 to 4. At least three and not more than four are taken at higher level (HL), the others at standard level (SL). HL courses represent a recommended 240 teaching hours; SL courses cover 150 teaching hours. In each examination, the student is graded on a scale of 1 (minimum) to 7 (maximum). The award of the diploma requires students to meet defined standards and conditions. These include a minimum total of 24 points and the satisfactory completion of three compulsory core components: 1) theory of knowledge (TOK); 2) extended essay; and 3) creativity, action, service (CAS). 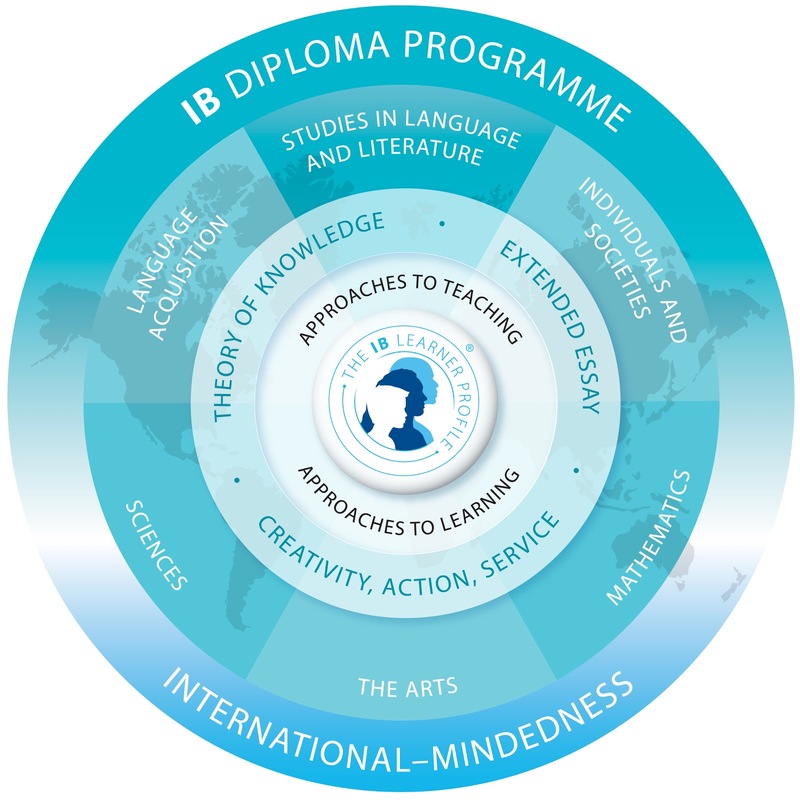 Read more about the International Baccalaureate (IB) in general on the left.